The 12th Annual South African Music Awards took place on Saturday 6 May 2006. The ceremony was broadcast live on SABC1 from 20h00-22h00. The 12th Annual SA Music Awards was run by a team headed by RISA chairman Leslie Sedibe and CEO Sean Watson. Held at a glittering ceremony at Sun City the two-hour event features an array of local music acts, including a reunion of Bongo Maffin and the three artists nominated for Best Rap Album - Prokid, HHP and Tuks Senganga. Aside from the two official presenters - Tumisho Masha and Nonhlanhla "Noni" Gasa - there are 32 other guest presenters, including Darlington Michaels and Michelle Botes from popular soapie Isidingo. - Entry was open to any recording artist, producer or engineer who is a citizen or has been a legal resident in South Africa, Lesotho, Swaziland, Botswana, Namibia and Mozambique for the six months prior to entry to the competition. - Recording artists, producers or engineers who were born in South Africa, but now reside outside of Southern Africa were also eligible to enter. 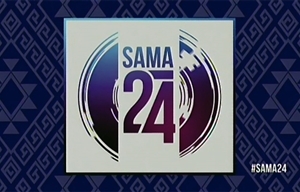 - As part of the organisers’ commitment to recognising the growing achievements of South African recording artists on the global stage, international collaborations and productions are allowed to enter, provided the collaboration is predominantly by South African artist(s) or producer(s) and such artist(s) or producer(s) has/have star or equal billing on the release. - Recordings released commercially in South Africa between January 1st and November 30th 2005 qualified for entry (unless otherwise specified in the rules). - After the close of entries on November 30th 2005, a process was implemented to ensure that all entries were placed in the correct or most appropriate category (in terms of the rules of the awards ceremony). - For the first time, the 12th Annual SA Music Awards saw the implementation of online submission of entries into categories. - A proprietary, online, digital entry system was specifically designed for the organisers by Prezence. - In addition to online submission of entries, cutting edge technology was used to implement a system of online judging. - Entry to the 12th Annual MTN SA Music Awards was opened between 1st and 30th November 2005. - The judging panel was made up of experts in the South African music industry and related fields (media). - In the adjudicated categories, specific criteria are set by which a judge must assess an entry. - Unless otherwise specified, the overall judging criteria include – artistic ability, creativity, production and entertainment value. - On completion of the adjudication process, the results were audited by an independent firm of auditors, and nominees in each category confirmed. - Four of the awards were not adjudicated by the panel of judges. - Best-Selling Album of the Year is based on audited figures received by RISA. - Lifetime Achievement award recipients are selected by the RISA Board with recommendations coming from within the music industry and input received from the organising committee of the 12th Annual SA Music Awards. - There are also two public voted categories - Most Popular Artist of the Year and Most Popular Song of the Year. - As in previous years, the public could vote for a shortlist of nominees in both these categories through phone lines. Andile Yenana - Who's Got The Map?